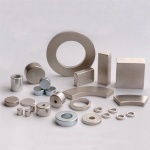 Vanjine Industry Co., Ltd (Former name: Lan Tian Xiang Electronic Co., Ltd) is professional NdFeB Magnets, Neodymium Magnets Rare Earth Magnet, Permanent Magnets manufacturer and supplier. 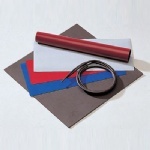 Vanjine Industry Co., Ltd --is a professional product and sales NdFeB, permanent magnets, Ferrite magnets, Rubber magnets, injection molding and magnetic equipment of magnetic material manufacturers. Our company has strong technical force, the first-class production equipment, advanced technology, perfect testing methods and strict quality assurance system. 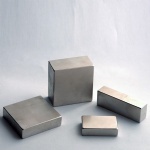 Products are widely used in household appliances, motor, acoustic, instrument, medical, hardware, gifts, maglev system and magnetic transmission, etc. 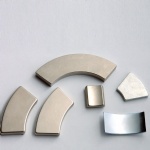 With excellent quality, the most competitive price, good service and prompt delivery, provide various grades of materials and the different shape, size magnet to the customer, and according to the customer demand, continuous update products research and development. Products are mainly exported to France, USA, India, Spain, Taiwan regions, France, Hong Kong and other regions. Welcome new and regular customers to contact, arrange or establish various forms of business cooperation.